As a gifted writer with a strong interest in supernatural phenomena, Charles Dickens produced a string of ghost stories with enduring charm. Three of them are presented here, of which The Signal Man is one of the best known. 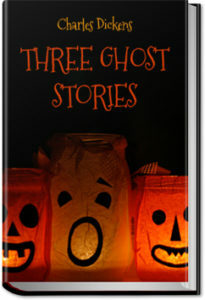 Though quite different from his most celebrated realistic and humorous critical novels, these ghost stories, Gothic and grotesque as they are, are of good portrayal, and worth a read. This entry was posted in Reading on October 9, 2017 by all-you-can-books.